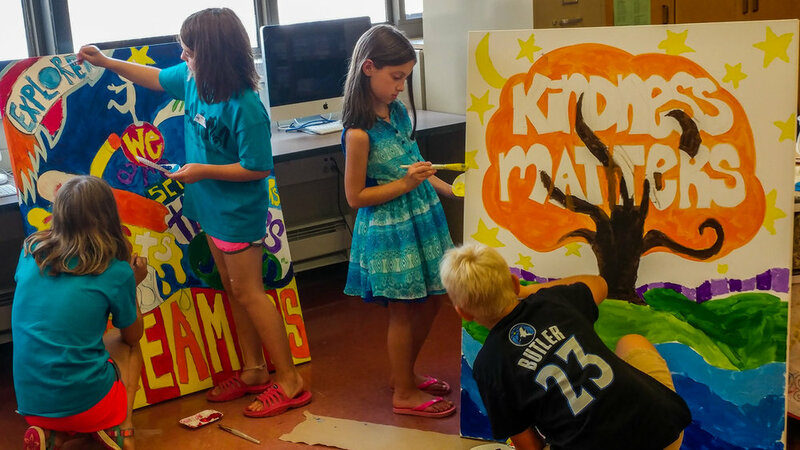 Menomonie school district’s week-long art camp offers an array of arts-based programs to elementary students. From visual arts to performing arts, Menomonie school children and teachers celebrate the arts of joy and imagination. In a collaboration with Arts Integration Menomonie, classroom teachers work with professional artists to enhance teachers’ skills and confidence in using arts-integrated instructional practices. For the second year, pre-service teachers from UW-Stout’s Art Education program are among the camp's teaching artists. Tami Rae Weiss, executive director of A.I.M., calls it a “win-win-win” in which the Stout students gain classroom management expertise while the career teacher explores innovative arts skills and media — and community children reap the rewards of meaningful arts education.